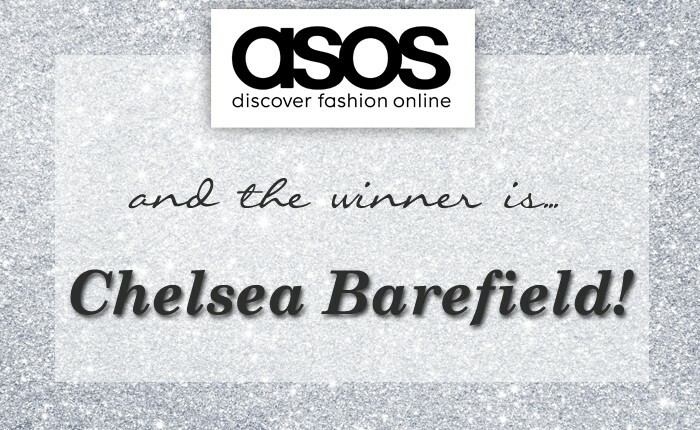 A BIG congrats to Chelsea Barfield for winning the $100 gift card to ASOS.com! ASOS loved how you planned to wear it throughout the year and showed us how you would style it in the different seasons! Thanks to everyone who entered and please stay tuned for another great giveaway soon!